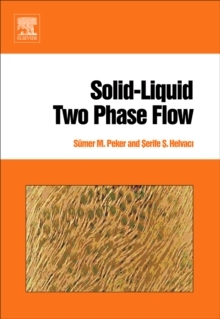 This book is an undertaking of a pioneering work of uniting three vast fields of interfacial phenomena, rheology and fluid mechanics within the framework of solid-liquid two phase flow. No wonder, much finer books will be written in the future as the visionary aims of many nations in combining molecular chemistry, biology, transport and interfacial phenomena for the fundamental understanding of processes and capabilities of new materials will be achieved. Solid-liquid systems where solid particles with a wide range of physical properties, sizes ranging from nano- to macro- scale and concentrations varying from very dilute to highly concentrated, are suspended in liquids of different rheological behavior flowing in various regimes are taken up in this book. Interactions among solid particles in molecular scale are extended to aggregations in the macro scale and related to settling, flow and rheological behavior of the suspensions in a coherent, sequential manner. The classical concept of solid particles is extended to include nanoparticles, colloids, microorganisms and cellular materials. The flow of these systems is investigated under pressure, electrical, magnetic and chemical driving forces in channels ranging from macro-scale pipes to micro channels. Complementary separation and mixing processes are also taken under consideration with micro- and macro-scale counterparts.